The Tiger’s Tail was composed in 1990 in Sweet Briar, Virginia with the generous assistance of the Virginia Center for the Creative Arts. 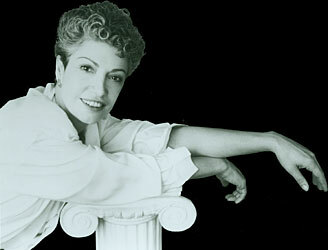 Like most of Wallach’s music, it depicts some specific psychological landscapes. Here, the emotional scene is that of the apprehension and excitement which can suddenly wake a dreamer in the dark hours of early morning and make sleep impossible with endlessly running thoughts. The title refers to the expression “to catch a tiger by the tail,” with its intimations of danger and anxiety, its promise of imminent excitement, and its futile longing for repose. A tiger’s tail, itself, can also be imagined: luxuriant fur silken, plushy and dramatically striped; its motion alternating between the soft sensuality of languorous furls and sharp, sudden lashes of malicious playfulness, unpredictably mounting anger, and ominous bestial strength. The New Music Orchestral Project of the National Orchestral Association gave The Tiger’s Tail its first reading in October 1990 under the baton of Jorge Mester. 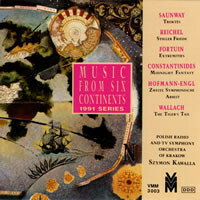 In 1991, Vienna Modern Masters released The Tiger’s Tail on compact disc with the Polish Radio and Television Broadcast Orchestra, Szymon Kawalla conducting, and the work was premiered October 5, 1991 by the Women’s Philharmonic, JoAnne Falletta conducting, in The San Francisco Civic Center’s Herbst Hall.